Chances are, you only think about your furnace and air conditioning system when it’s broken. And few things are worse than waking up in the winter to a broken furnace. When you find yourself in need of furnace or air conditioning repair, you need a contractor who is trustworthy and can provide prompt service. 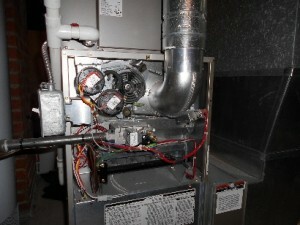 Efficient Heating & Cooling can service all types of furnace and central air conditioning systems. Our technicians are skilled at identifying and fixing problems on all makes and models found on the market. We are even comfortable working on systems that other contractors won’t touch. We offer 24-hour emergency service when comfort in your home or business matters most. One of the best ways to avoid a broken furnace or A/C is to scheuldle regular inspections on your equipment. This is typically done annually. Just like you would service your car with an oil change, regular inspections (also known as service agreements) can help identify and prevent major problems from occurring. For more information about our furnace and air conditioning repair work, contact us at 216-663-6462!